Teviot Fairservis of Cat Lovers International Society (Persatuan Pencinta Kucing Antarabangsa) founded Cat Beach to house street cats due to last year’s declaration by the Chief Minister of Penang of a “Zero Strays Policy”. Cat Beach is located in a fishing village at the beach in Teluk Bahang, Penang. Currently, because of the rabies alert, the Penang government has declared that all strays will be culled. Cat Beach is in urgent need of volunteers to help build fences to keep the cats totally confined. Teviot also welcomes suggestions on how best to help the cats at Cat Beach. If you are able to help in any way, please contact Teviot as soon as possible. Let’s all work together to help the animals in this time of very urgent and desperate need. Innocent lives are at stake. 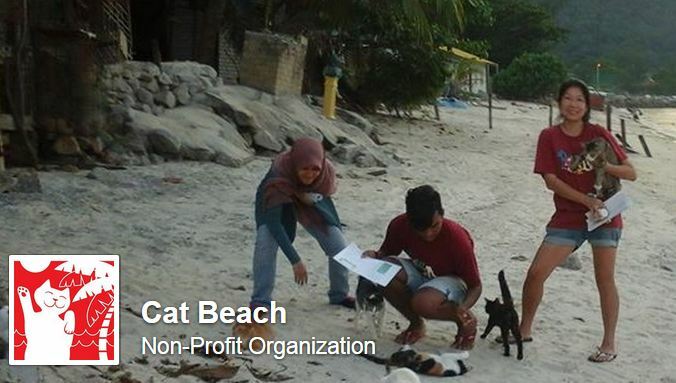 CAT CARE VOLUNTEERS NEEDED at Cat Beach, Penang, in a time of crisis. Volunteers help with feeding, cleaning, grooming, medicating and other cat care tasks. Those with skills in carpentry, cement work, or other building skills such as electrics or plumbing can be of special help as we convert rustic buildings into an ‘eco-friendly’ cat sanctuary.While there is no immediate threat to humans, currently, there is a major crisis here in Penang as rabies has been found in a few dogs. The government has ordered that all stray animals are to be destroyed — some 25,000 animals to be destroyed. There are about 100 cats here which have been rescued over the past 2 years. We hope we can take in more but need help to handle them and to construct fences and enclosures to quarantine them. Please contact Teviot at Cat Lovers International / Cat Beach by email to catlovers.my@gmail.com. Thank you, Dr Chan, for all you do for Malaysia’s animals. Please pray for the lost animals and if you feel able, please help to stop this massacre.